We're lucky to have such a great team behind us. Our developers, photographers, recipe testers, and longtime community members make FOOD52 what it is. To thank the hard workers and our friendly encouragers, we got everyone together for a little celebration last Wednesday night. We made five party snacks from FOOD52 recipes and one of our favorite cocktails, the Moscow Mule (get the recipe below). Some of our photographers were in attendance, but we gave them the night off. 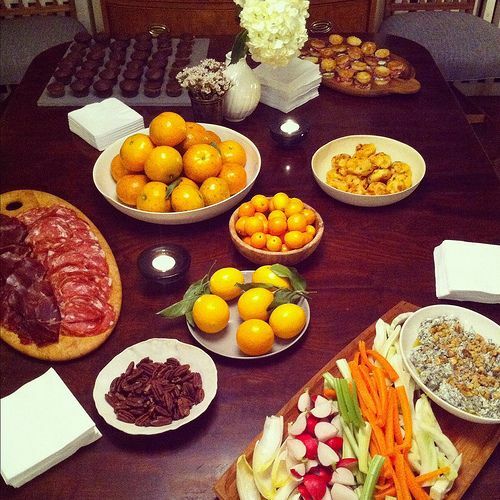 Here's a peek at last week's party, captured with iPhones and Instagram. 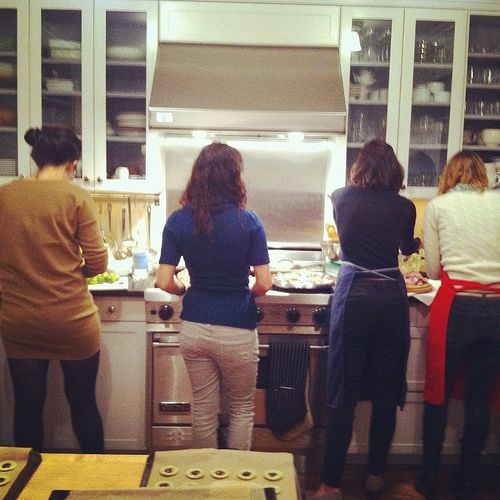 Left: Some of the FOOD52 team prepping away. 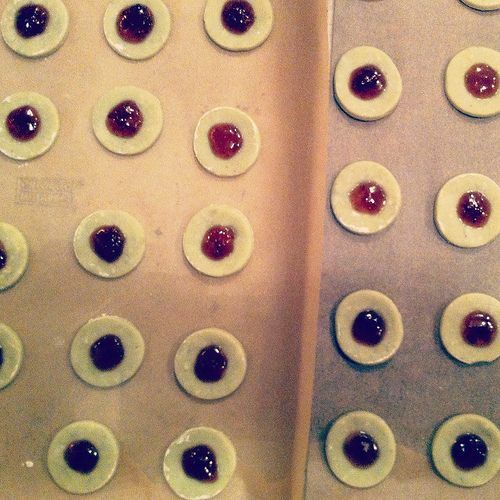 Right: TheRunawaySpoon's Fig and Blue Cheese Savouries ready for baking. 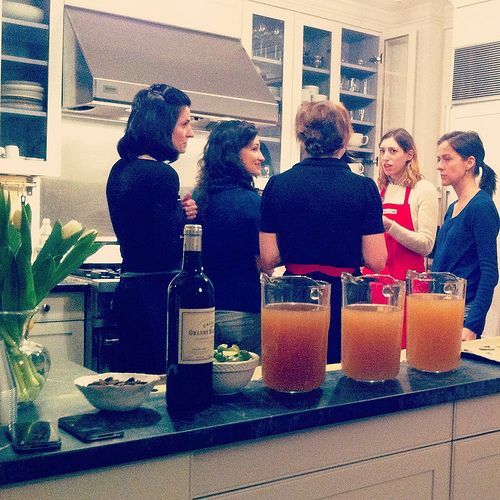 Left: Some more prep talk, and pitchers full of Moscow Mules -- we made the ginger syrup from A Tribute to Woody (Homemade Ginger Ale Float) by inpatskitchen. 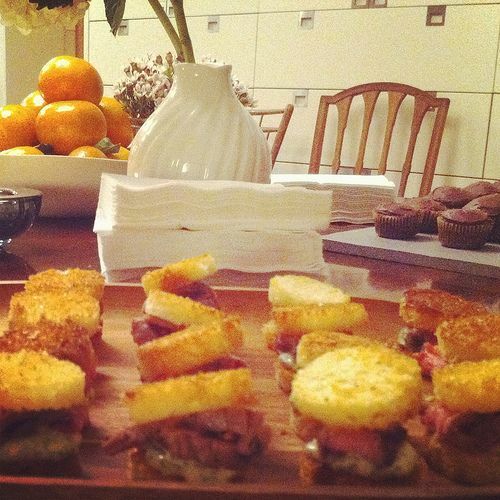 Right: We assembled mini versions of Flank Steak on Texas Toast with Chimichurri by sdebrango. 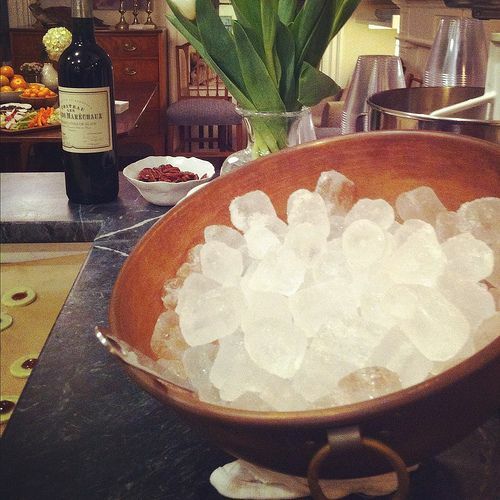 Left: We set up the bar with a very fancy copper ice bucket. 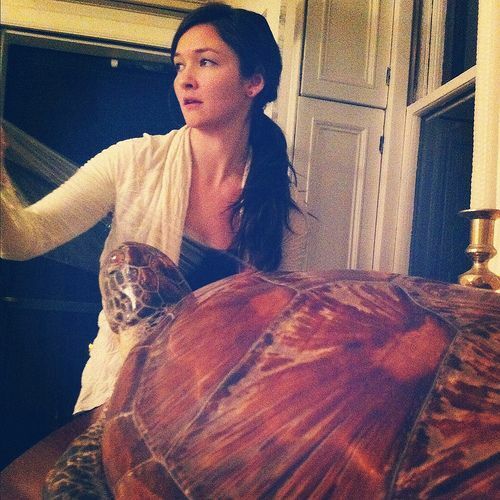 Right: Kristen, saran wrap, and a turtle -- we can't have a party without them. 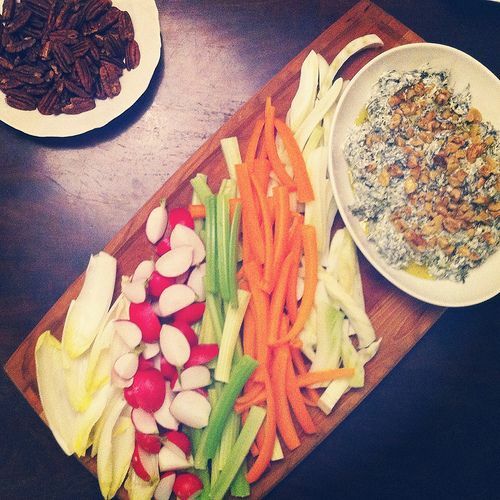 Left: We also served up AntoniaJames' Crispy Spice-Brined Pecans, and the winning Yoghurt & Spinach Dip by shayma. Right: Amanda's kids made mini cupcakes for the party, which reminded us how much we love that Chocolate Dump-It Cake recipe. 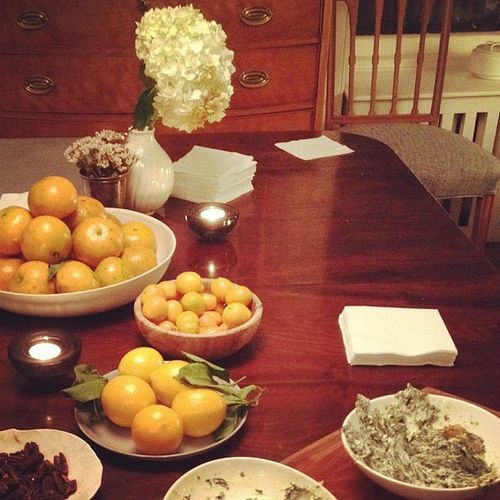 We finished setting our tables just before the first guests arrived. 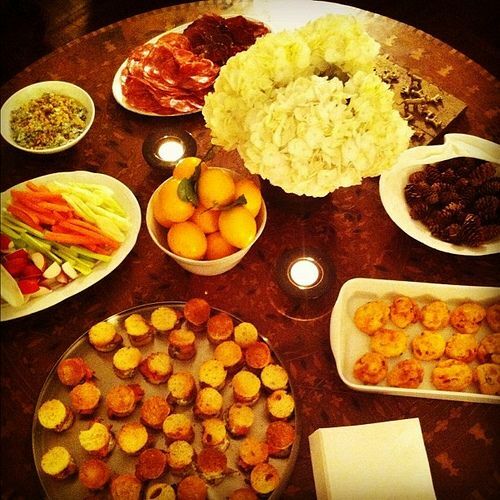 The final additions to our menu were cured meats and Paprika-scented Manchego Chorizo Puffs by Half-Buzzed Hostess. Two busy rooms full of friendly faces. 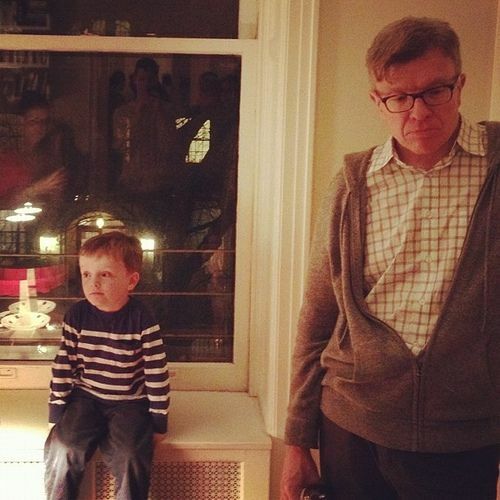 Left: Amanda's son, Walker, took a short break from greeting guests and serving cupcakes with his dad. Right: Mid-party, Walker's sister Addie decided to add a fun accessory to her ensemble. 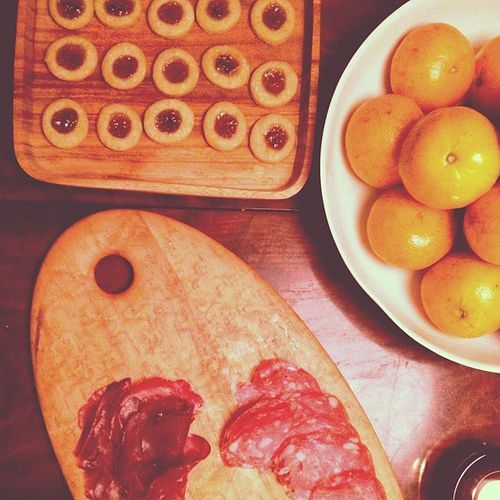 Left: Those savouries and cured meats did not last long. 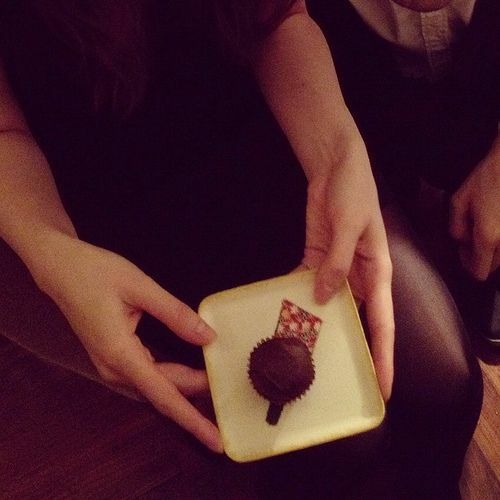 Right: Some people were lucky enough to have mini cupcakes hand-delivered to them by Walker and Addie -- what presentation! Fill a tumbler with 4 or 5 ice cubes. Pour in the vodka and lime juice and fill up the glass with ginger beer. Oh, how fun! Wish I could have been there. 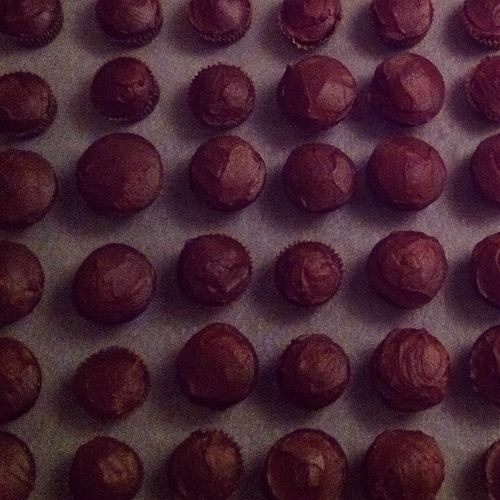 Thanks for sharing the photos and recipes. Moscow Mule is my fave drink!!!! No one drinks this one! (or so I thought!). Looks like a fun time. 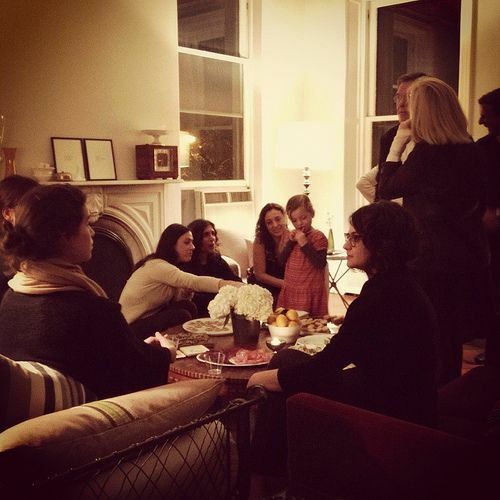 Looks like a great party. Moscow mule's are one of my very favorite drinks for a cocktail party. Everyone loves that ginger kick! I was so sad to miss this! 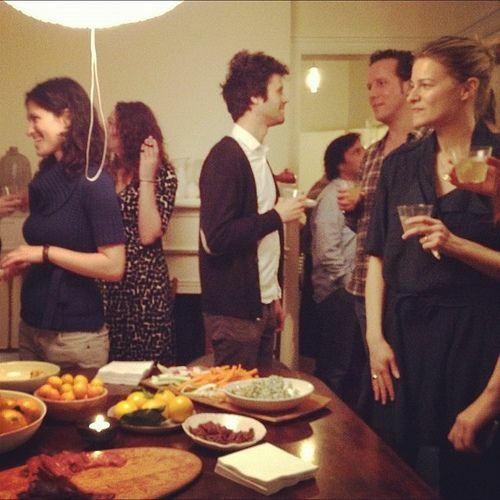 It looks like it was so much fun with amazing food (and people of course). A sort of spontaneous trip to India made it so I had to miss this celebration. 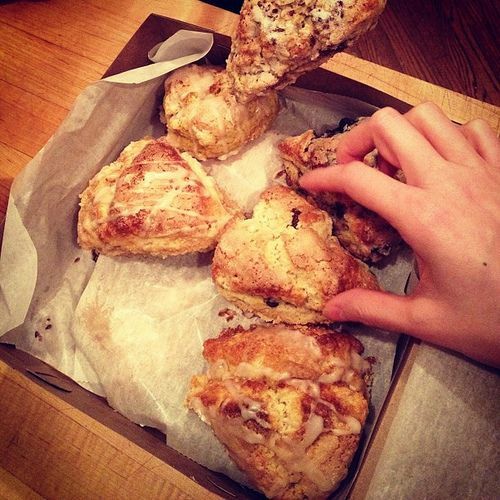 Glad you enjoyed the scones! My favorite moment of the evening: Walker and Addie working the coat check. Well, that and standing next to the picture of tripe lady in the dining room trying to act cool, thinking "omg i'm in Amanda Hesser's apartment!" You are a careful observer! Glad you like the kitchen's new look. I'm going to do a before and after post about it ... eventually. Just got a new butcherblock today. Slowly but surely coming together. I loved the pics..esp loved the turtle and the little charmers! 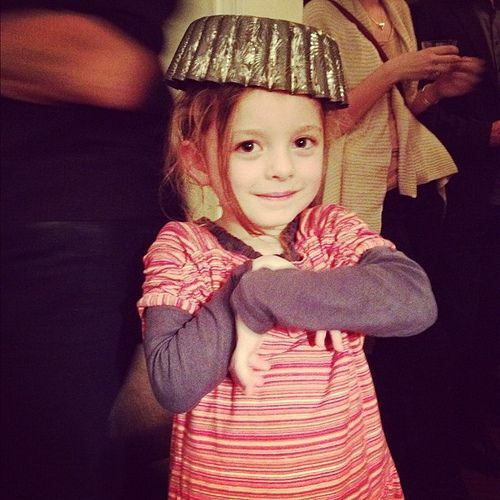 Addie's hat really does take the cake!